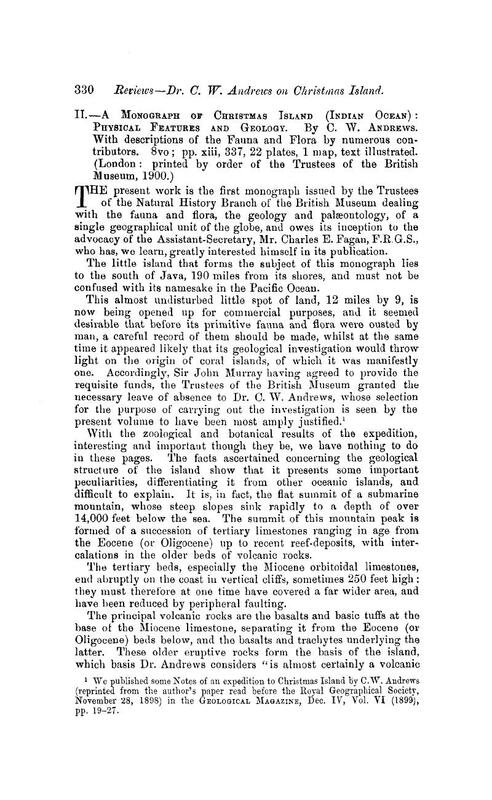 1 We published some Notes of an expedition to Christmas Island by Andrews, C. W. (reprinted from the author's paper read before the Royal Geographical Society, 11 28, 1898) in the Geological Magazine, Dec. IV, Vol. VI (1899), pp. 19–27.